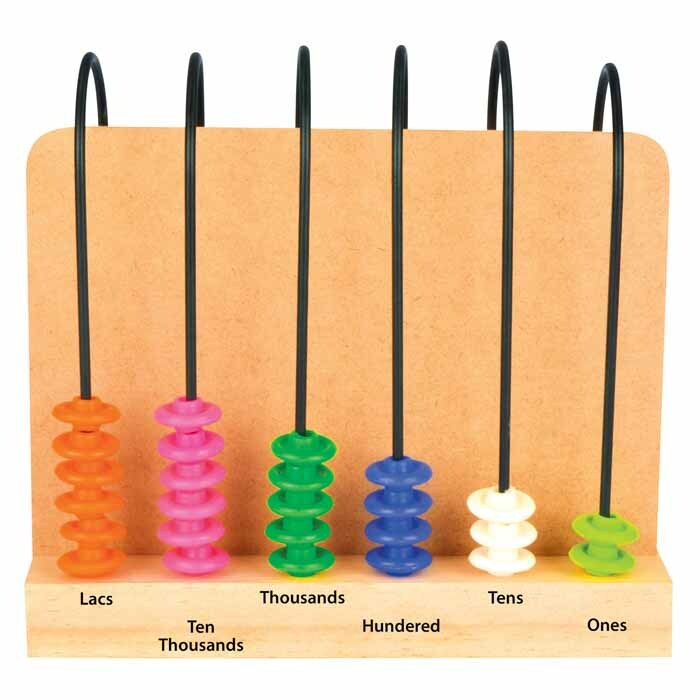 This U-Shaped wire abacus with 6 wires and 9 beads in each wire is used to learn the concept of place value of different number up to lakh. 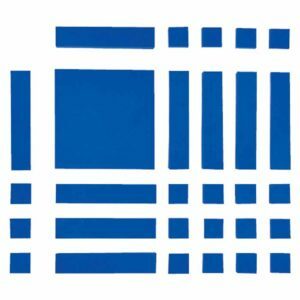 Forming numbers with given digits and hence building greatest/smallest number is fun to learn. 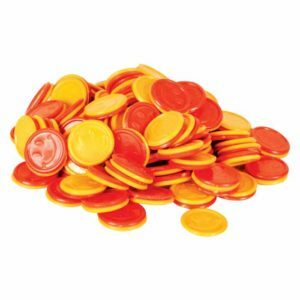 A fun to learn manipulative which helps in forming number upto 9 lakhs. 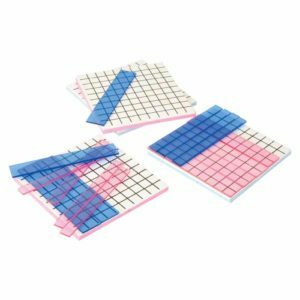 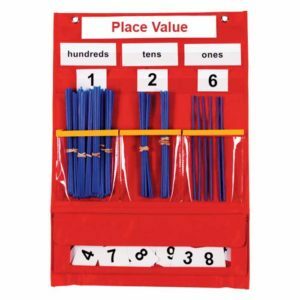 Students can learn the concept of place value in easy fun way. 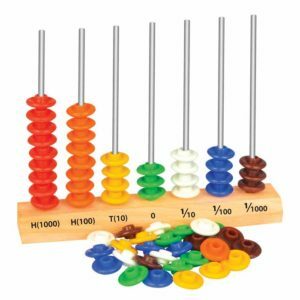 Total Elements: Set of 54 beads with 6 wires.